Just ask Cate Biggs and Elizabeth Barnwell, two ladies from Texas who started the fabulously successful Glam Grab Accessory Auction. 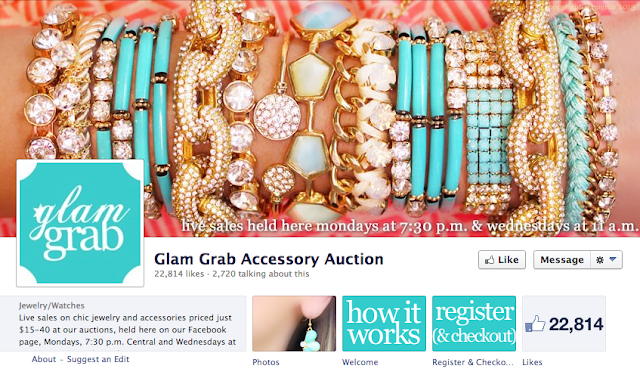 Their Facebook page hosts biweekly flash sales that generate tons of buzz among fans. Customer comments spread virally across the Facebook newsfeed so that the brand gains traction week over week. Soldsie keeps up with their popularity by keeping track of orders and automating invoices for their trendy jewelry pieces. Harness the power of social media and launch your own sales from home: visit Soldsie to start selling socially! No experience required-- the company website is chock-full of video and blog resources to help with setup logistics and offer top Facebook marketing tips.